Why should liking something popular make us feel sheepish? Why do we refer to certain things we genuinely enjoy as "guilty pleasures"? The whisky world is a funny place, and the further down the rabbit hole you venture, the weirder it gets. Many snobs, er, "enthusiasts", will turn their noses up at standard OB whiskies. What's an OB? That's code for "original bottling" (sometimes "official bottling") meaning the distillery bottled the whisky (or had it bottled by a sister company, let's not get too bogged down here) and released it under their own label. IB whiskies, or Independent Bottlings, are whiskies purchased from a distillery by a third party (Gordon & MacPhail is a well-known example) and released under the bottler's label. 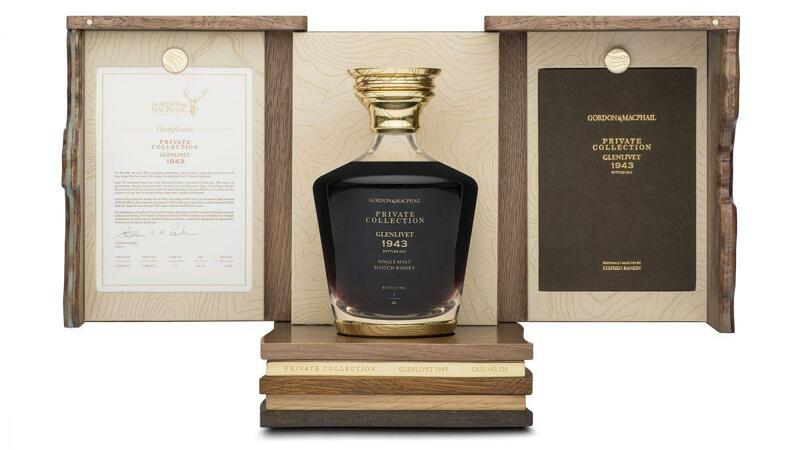 For example, you could get a Gordon & MacPhail bottling of Caol Ila's 17 Year Old Unpeated Single Malt. Unpeated Caol Ila Single Malt is hard to find from an OB. I'm not sure Diageo even sells it as a single malt. Independent Bottlings are all the rage with enthusiasts because they are rare, unique, interesting, and often released at a higher ABV strength, without added colour or chill-filtering. The Gordon & MacPhail Glenlivet 1943 pictured here is 70 years old, bottled at about 49% ABV, and sells for around $40 000.00 USD. That's not the whisky I'm reviewing this week, however. No, this week's whisky is a "standard, OB" Glenlivet 18 Year Old. But why should I (or anyone) feel guilty about that? Standard, common whiskies, produced on a large scale, allow us serfs to try whiskies that might otherwise be out of reach. As I close in on the big 4-0, I'm making fewer apologies for the things I enjoy. What can anyone say about the Glenlivet that hasn't already been said? Glenlivet is an icon. 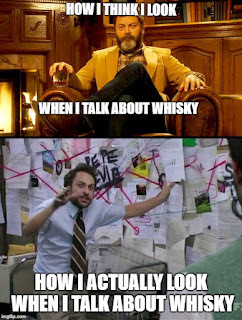 It's the biggest selling single malt in the United States and the second biggest selling single malt in the world. Glenlivet produces approximately 10 million litres of whisky per year. Its origin story is one of the best in the business, and even has a bit of truth to it. George Smith, founder of Glenlivet, was reportedly the first Scot to apply for a legal distilling license following the Excise Act of 1823. The move to play by the rules was not a popular one, and Smith took to keeping two pistols on his person at all times for protection. These pistols are still kept on display at the distillery's visitor centre. 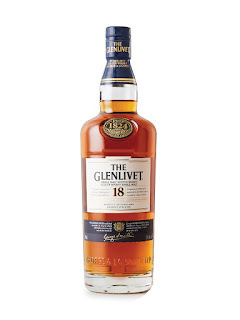 The Glenlivet 12 Year Old has a special place in my heart, so I was eager to try a bottle of their 18 Year Old when it was on sale awhile back. I must have forgotten it in the back of my cabinet, because I didn't open it until a few weeks ago. A quick check on the LCBO website shows the price has almost doubled since then, so I'm glad I got my bottle back when I did. Nose (undiluted): Sherry cask influence is evident with dried fruits, but with more brightness than the raisins and dates profile I associate with sherried whisky. Dried cranberries and raisins. Cherries. Vanilla frosting, icing sugar, oak. Palate (undiluted): gentle arrival, almost understated, medium-bodied, with bright red fruit, sugar cookies and a somewhat oily texture. "Chewing" the whisky (yes, actually chewing) brings out a bit of orange zest and vanilla. Finish: this is where the whisky really shines. Cherries, dark chocolate and walnuts with nutmeg, cloves, oak and raisins lingering longer than expected. Very balanced. Adding water brings out some sharper notes on the nose. Bright orange zest comes through and dark chocolate shines through on the palate. Water thins out the body of the whisky, but brings forth more spiciness. The addition of water is interesting, but I prefer this one neat. There is no reason to be ashamed of liking something popular, unless it's reality television. Then you definitely should feel guilty because you're contributing to the dumbing-down of society. I'm kidding. Sort of. The Glenlivet 18 may be a popular, "mainstream" whisky, but its popularity is justified. This isn't my typical flavour preference as I gravitate toward intense, peaty, smoky scotches or bold, spicy ryes. Yet this whisky is almost above reproach. I would prefer to see it bottled at 46% ABV or higher, and without E150a (caramel colouring) and unchill-filtered, but as far as rich, rounded, sherried Speyside whiskies go, this one is excellent. Recommended. who says, "This drink's on me".